When I edited the health pages on a women’s magazine I was often asked to write about stuff that the NHS wouldn’t do, stuff that people – usually parents – had to spend a fortune on to get abroad or privately in the UK. Skull helmets for babies were a typical example. Magazines like running stories about skull helmets because they usually come with cute pix and heart-wrenching quotes. But should journalists really be encouraging parents to buy these devices? 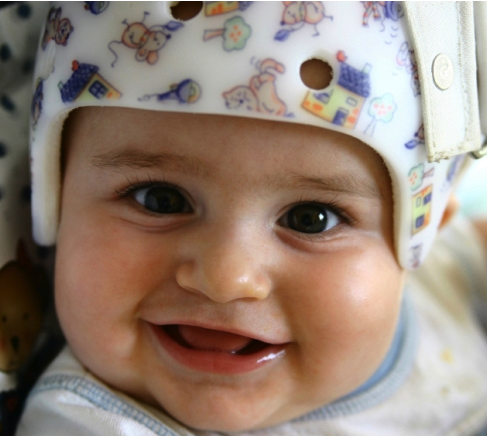 The helmets are designed to correct ‘flat head syndrome’ which is caused by infants frequently lying on the same part of their head. The syndrome has become more common now that parents are told to put their babies on their backs to sleep to reduce the risk of cot death. Babies also spend a lot of time in those little chairs you can carry from car to home and back again. The skull helmets have to be worn for several months for up to 23 hours a day. But they can cost more than £2000 – and the first randomised, controlled study of the treatment has found no evidence that they make much difference in skull shape by the time a child is two. The study also revealed that all the parents whose babies wore a helmet reported side-effects – from skin irritation to feeling hindered from cuddling their children. So instead of encouraging worried mums and dads to part with their hard-earned cash for skull helmets without being in possession of all the facts, I'd like magazines and newspapers to try to get the word across that it's not a good idea for babies to spend too much time in the same position - on their back - day and night and to refer them to the sensible advice here. Give your baby time on their tummy during the day and encourage them to try new positions during play time. Switch your baby between a sloping chair, a sling and a flat surface, so that there isn't constant pressure on one part of their head. 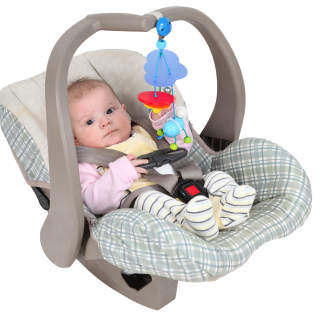 Change the position of toys and mobiles in their cot to encourage your baby to turn their head to the non-flattened side.